Watch and make notes on the videos below and study the diagam carefully. B. How do tsunamis form? Make a larger, neater (better) coy of the diagram below. 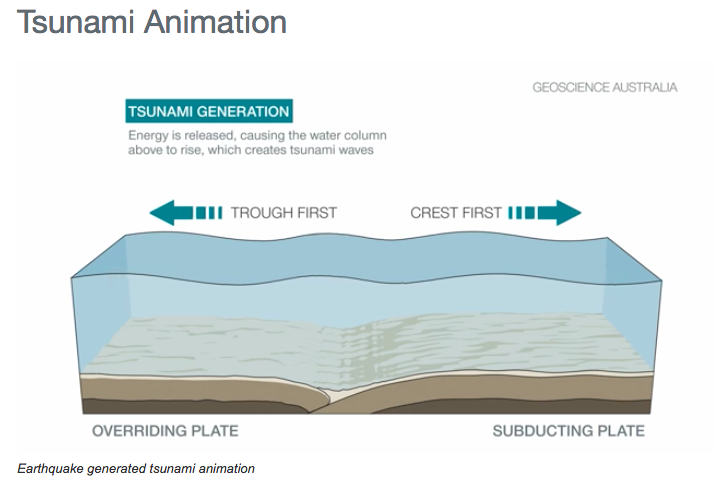 Use the material on this page to fully annotate the diagram in order to fully explain how tsunamis form. Remember to give the diagram a title, to use a ruler for arrows, to draw a frame around your diagram; draw only in pencil and write in blue or black pen.